It is our mission to make things easy for you, so you are free to concentrate on your work. Our Asset Management covers the entirety of your IT infrastructure. This includes recording, tracking and refreshing your IT hardware, as well as updating and patching your IT softwares. At the same time, we will manage your software subscriptions from its licensing to structural management to ensure that there will be no lapses in subscriptions. You deserve our care and attention. Each of our clients will be assigned to a project manager. Our project managers will conduct regular proactive recommendations to improve your IT infrastructure on a monthly, annual or biannual basis. As technology is a dynamic platform, we will revisit current solutions to ensure that they are still the best available option for you, based on your current needs. Don’t fight it alone. Summon Computer Guys now. Let us help you with your IT shopping. 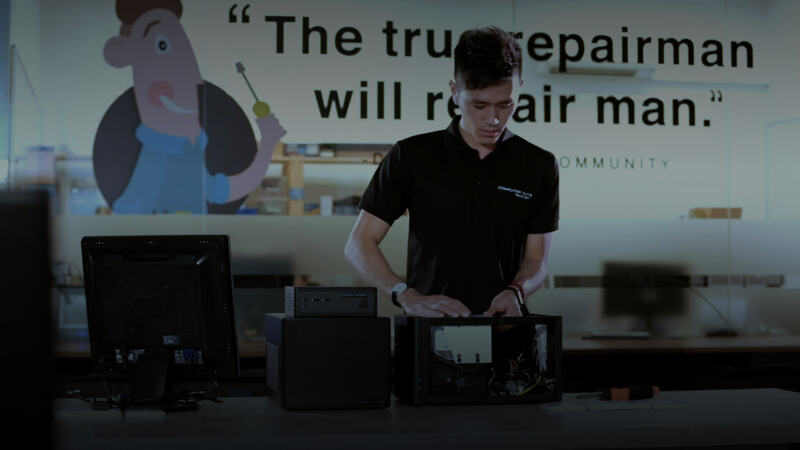 To provide you with an all-round IT support service, Computer Guys runs its own procurement department to help you handle your logistics and procurement of IT tools. We will be able to assist with vendor relations, making sure all purchases are timely and communications are followed up accordingly. It helps to be organised. Documentation is an important but often overlooked aspect in IT support. From the get-go, we will conduct an extensive and thorough inventory and IT audit, updating it as your company grows. With a detailed inventory and audit, we will be able to monitor your IT infrastructure effectively to make relevant suggestions. We can help you with a whole lot more than Technological Management.